It seems like summer just started and August is already here. If there was something you wanted to do this summer, it is now time to finish off your summer bucket list. Visiting Door County, with its scenic beauty and variety of activities, is a top summer must-do for most people. When looking for places to stay, hotels near Peninsula State Park WI, including Ephraim Shores Resort, are a top choice since the park is at the center of everything Door County has to offer. Enjoy a beautiful sunset: With its ample shoreline, watching the sun set in Door County is truly something special. You can catch the setting sun from multiple places on water and land, including Ephraim Shores’ waterfront or sundeck. Take a walk (or hike) in the park: Door County is home to five state parks, including Peninsula State Park — the most visited park in Wisconsin. The park has biking and hiking trails, a beach, multiple picnic spots and is home American Folklore Theater. The county’s other state parks include Newport State Park, Potawatomi State Park, Rock Island State Park and Whitefish Dunes State Park. Stop by Wilson’s. 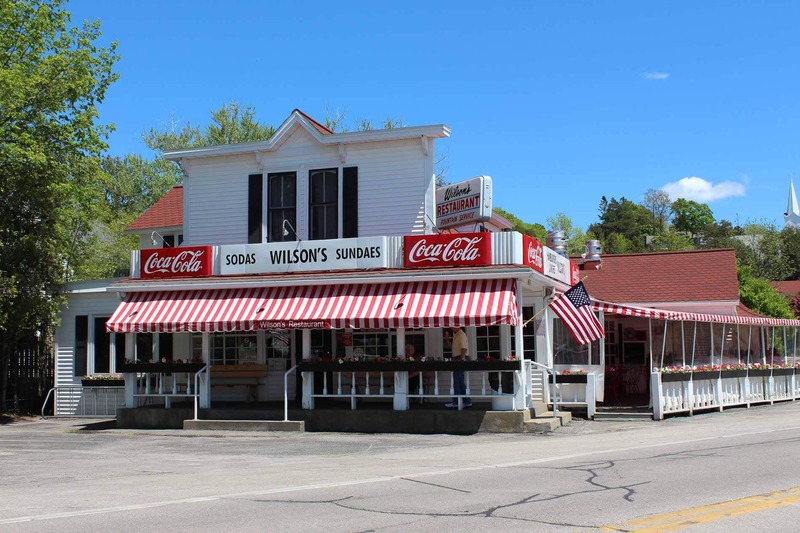 Located in Ephraim, Wilson’s Restaurant & Ice Cream Parlor is a true Door County landmark known for its flame-broiled burgers and old-fashioned soda fountain and ice cream parlor specialties. A little retail therapy: The area is known for the small, one-of-a-kind boutiques and stores that dot the downtowns of the county’s cities and villages, making it easy to walk from store to store. Tour a winery: With its temperate climate, Door County is home to multiple wineries. The Door County Wine Trail puts all their information in one place so it is easy to plan a tour, two or all seven on the peninsula. See the goats on the roof: Al Johnson’s Swedish Restaurant & Butik is another Door County classic. The Sister’s Bay restaurant is not only known for its Swedish specialties, but also for the goats who graze on the building’s sod roof. For many summer visitors, stopping to see the goats on the roof is a definite must! Take in the arts: Door County is home to several art galleries and the Peninsula Players, the oldest American resident theater. Go for a cruise: The inviting waters surrounding Door County are calling. Enjoy them from either your own boat, rent a charter or a scenic boat tour. Check out the scenic lighthouses: With its ample shoreline, lighthouses were a must to help guide ships to their destinations. The peninsula and surrounding islands are home to 11 lighthouses, many that were built in the 1880s. While some are easy to reach, including Eagle Bluff Lighthouse in Peninsula State Park, others are more remote and only open during the annual Lighthouse Walk. Enjoy a fish boil: A list of things to do in Door County wouldn’t be complete without including a traditional fish boil. Fish boils feature locally caught whitefish, potatoes and maybe onions boiled in a huge pot over an open fire. With so much to do, you need a relaxing place to serve as your base during your visit. Ephraim Shores offers a mix of accommodations ranging from rooms with two queen-sized beds to two-bedroom suites with a full kitchen. Right on Eagle Harbor, the resort’s amenities include a beach, sundeck, indoor pool and whirlpool, game room, exercise room, bicycles for guests to check out and free Wi-Fi. Ephraim Shores stands out when it comes to hotels near Peninsula State Park WI. The well-trained staff is ready to welcome you to our clean, comfortable rooms and provide you with the relaxing vacation you deserve. A comfortable beachfront resort in Ephraim, Ephraim Shores is the ideal place to spend your vacation this summer. Visit our website today or call us at 877-854-2371 to make your reservations.